For years I have been working through what I believe about women and power (I call it processing, but really, like Bates, it’s brooding). Because there are two extremes in our culture, and I disagree with both. 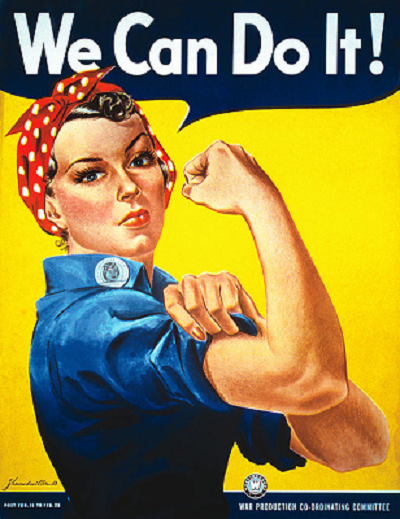 There is the world’s definition of female power, distorted by our enemy until somehow women choose to do things that are absolutely terrible for us to demonstrate we have the right, and then the church’s definition of female power, which in many places is no power at all, or worse, no voice (although certainly not everywhere). Both extremes make me very uncomfortable. I’ve not always thought about women and power in a righteous way – in fact most often probably the opposite. The rebellious contrarian nature in me (that aged my parents like my rebellious contrarian child ages me) rises up when someone addresses this issue, and I struggle to understand and work through what I believe about rights, submission, surrender, and the power that is mine as a child of the King. I’ll search the Bible for answers, and feel my spirit lift and fall as I read things that encourage or confuse me when it comes to women and power. Paul, for example, writes some pretty strict limitations on women’s leadership, but shortly after praises a female apostle and writes greetings to several women leaders in the early church, and after that says there is no male and female in the Kingdom. It is confusing, and anyone who tells you it isn’t apparently possesses some secret Bible decoder ring that I’d love to borrow for a month or two or forever. And again I’m a contrarian, so I want to know the truth, but I won’t believe something just because you say it is true. I’ve always been this way. As a child, in my Christian school, I submitted a science fair project on my attempt to determine the point where life begins, studying it both in the Bible and from a scientific viewpoint, trying to work through what I believed. And let me tell you – the entire project didn’t go over well in the school I attended, despite my genuinely pro-life viewpoint (I think I got a 72). Sometimes questions, even asked innocently, make people uncomfortable. And that discomfort certainly exists when you start discussing women and power in today’s church. We all have a point of view, often shaped by our experiences. For years I served in churches where women on staff were the absolute minority and relegated to non-ministerial “director” roles. On one staff, I was the only woman on the executive staff (terrifying, right? ), and I felt like I had to represent all women at a table full of men, all of the time. It exhausted me. So I left ministry, aside from serving beside my minister husband, because I couldn’t figure out how to be me in those environments. But in the meantime, I kept being drawn to these women who were both powerful and righteous – and I loved watching them be all God had made them to be. I longed to see more of that from the Church that I love. So this position comes up at Community of Faith for me to serve full-time on a church staff again. Honestly, I’ve never cried or agonized over a decision more in my life. I actually said no several times. And then I visited here and saw that this church is defined by so many things that move my heart: mission, Prayer, restoring the broken, redeeming the lost. This place is real and simple and powerful. There is freedom here. Beauty. Vulnerability. God’s presence so thick you can feel it. Prayer like I’ve never experienced. I wanted to be here but I was not sold on my role on the staff until I met a woman who demonstrated quiet graceful strength. She is our Pastor’s wife – but we also call her our Pastor. She doesn’t claim that title or call herself that as if it were her right – but she started COF with her husband and her wisdom saturates this place and she completely fills that role in the right way, so that is what we call her, because we honor her. On the drive back to Dallas, after seeing the church and meeting the Shooks, Justin and I talked and wrestled and prayed and processed like our life was on the line – because it was. During that talk, I cried when I told him that meeting her, I finally saw myself here. I knew if I came on staff I would never have to represent all women, because they are very beautifully represented in the women on staff here already. But more than that, I felt like I had seen the right kind of power displayed and honored, and it felt like coming home. (There are some who will shut down as you read the last paragraph, and I get it. I hope my heart is coming across correctly, but I also know we all have entirely too much baggage when it comes to the issue of women and the church. We have seen abuses and been taught rules and boundaries quite forcefully, so I get the complexity and discomfort). But even still, it hasn’t been easy for me. I brood. I feel unsettled. Awkward. Striving. Inadequate. Insecure. Too tall. Too loud. Too much. Not enough. I am fighting to process all of this because it is all so new. This new culture. This new paradigm. Even the new roles Justin and I are filling at home and my role at work. In every area of our life there are massive changes, and I am stuck in my head working through them. Most of all, I’m working through how to walk through this door the Lord so clearly opened for our family. Because it’s amazing and refreshing to meet a woman walking in the right kind of power, but it’s hard to be a woman walking in the right kind of power. I feel a little bit like I’m learning to walk again, wobbling between extremes, trying to find my way. Too fearful one moment, too bold the next. Too confident in my own wisdom, then plagued with self-doubt, all the time not relying enough on the wisdom of my Father. My feelings are all over the map, and although rationally I know my feelings aren’t truth – still I feel so many feelings and it makes me uncomfortable. Finally I come to tonight – and the reason I am writing. There has been some serious violence in our new area in the past months, and the women on our staff were invited to a prayer meeting to stand together against the forces of evil in our town. So I go with some female staff members and staff wives, and we walk into a room with about 16 people total, where we are led in prayer. And it was powerful. All-caps POWERFUL. We are praying in unison, quiet at first, but with more and more boldness as we go. We are humbling ourselves, begging the Lord to intercede and move and change hearts and rescue. We have been afraid, but we aren’t going to live in fear anymore. Instead we are laying down our requests before the God who controls armies of angels. We are also stepping into the power that is ours to fight against the enemy. The leader of the prayer time says, “We don’t have to take this – we don’t have to be subject to this violence and the schemes of the enemy. We have power in Christ to push back this darkness” and my spirit felt free to walk in that power. It was glorious… and I’m not a person who uses the word “glorious.” We are women, praying in power, as if we have the right to claim this victory and take back this land for the glory of the Lord. Because we do. And I just kept thinking as I left – this is the right kind of power. This is the undefinable thing that moves me about this place. (As a sidenote, in that room praying with us was one of the most powerful and influential women in the entire Christian world – a name every single one of you would know without question, crying out to the Lord alongside us, revealing the Source of her very formidable strength. When the Lord shows me something, He often has to repeat Himself until even I can’t miss the lesson). Tonight these conflicted ideas stopped being conflicted for me. The power is not in me, and yet is in me. I am a simple girl. A mess more often than I admit. I know better than anyone how utterly unqualified I am on my own strength to lead anyone or represent the Lord in ministry to a hurting world. And yet I am a dwelling place of the Holy Spirit, so His power is in me. He uses me despite my weakness. He empowers me with His strength. And when I walk in that power, there are no limits to what I can or should do for the Lord and His Kingdom. The difference between power out-of-control and beautiful righteous power is the Spirit in which I am walking. Am I walking in surrender to Christ, filled with the Spirit? Then I am powerful and I have no reason to fear or limit myself. Pray for me, sweet friends, and I’ll pray for you, that we will walk in the power of Christ in the way we were intended, without fear and without a desire to glorify ourselves. And may we progress from infants struggling to walk in this power to daughters dancing and running, pushing back the darkness and bringing glory to the God who created us male and female, for His glory. For consider your calling, brothers (and sisters): not many of you were wise according to worldly standards, not many were powerful, not many were of noble birth. But God chose what is foolish in the world to shame the wise; God chose what is weak in the world to shame the strong; God chose what is low and despised in the world, even things that are not, to bring to nothing things that are, so that no human being might boast in the presence of God. And because of him you are in Christ Jesus, who became to us wisdom from God,righteousness and sanctification and redemption, so that, as it is written, “Let the one who boasts, boast in the Lord.” I Cor 1:26 – 31. So this is another completely frivolous blog post – about Idina Menzel! I love her – have for a long time. 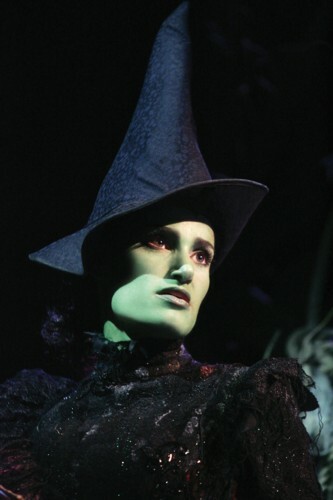 When the Wicked soundtrack came out, I would (attempt to) sing along with her. Years ago my friend Nancy and I won front row center tickets to see her play Elphaba in Wicked in New York. It was fantastic. We were so close we could see every facial expression, every dance step, and hear every note. And she was absolutely flawless, even when not facing the audience (When you are on front row you can see that! Who knew?). And now she is on GLEE! 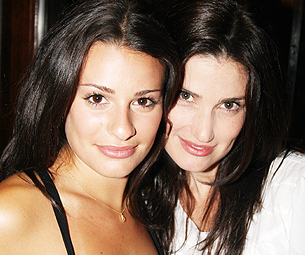 My sister and I had always commented on Lea Michele’s resemblance to Idina. In fact, we had often wondered if, when they make the Wicked movie, Lea would play the younger Elphaba and Idina play the older. Both have SERIOUS chops. Let me just say, if that is how it ends up working out, I play to be the grown adult woman in green from head to toe with my green little babies at the premiere. I am a little Wicked-obsessed – confessionally. Since Nancy and I saw it in New York I have seen it five or six additional times, and my precious friend Angie just gave me tickets to see it again next Friday night. JOY! I love this musical. I seriously cannot WAIT for the day that I get to take Grace and introduce her to Elphaba. She will love it. In the meantime, Lea Michele and Idina did a beautiful duet last night on GLEE, and we have been watching it over and over. Grace is beginning to sing along – maybe I’ll have a little musical actress in my house after all! I promise, I won’t become (much of) a stage mom. May I be a 12 year-old for a moment? These are celebrities who I just love. Totally. And I just had to share. Idina Menzel and Taye Diggs. The girl can sing and act. I saw her in Wicked as Elphaba and let me tell you – she’s amazing. And he HAS to have the greatest smile on the planet. When he smiles – I smile. Plus he sings, and dances. Geez. I LOVE THEM. And they just had a baby. That kid is destined to be perfectly beautiful. love him. How can you not? Man I adore Aaron Sorkin and every show and movie he has ever made. From West Wing to Sports Night to Studio 60 – his lines are like lyrics and he is brilliant beyond comparison. LOVE him. Come back to TV Aaron. Please. We need you. I could add Matthew Perry, Sting, Bradley Whitford, Sarah McLachlan, Allison Janney, and Parker Posey to this list (and I’m sure there are more) but I’m probably boring you by this point so I’ll just sign off by saying that I’m a big dork and I know it. So thank you for bearing with me.